Here’s a quick list of seven podcasts (in no particular order) dealing with comics. For the most part I tend to like shows interviewing artists and/or industry professionals (as opposed to simply reviews), so the list tends to lean heavy that way. 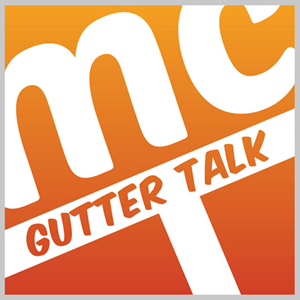 Making Comics: Gutter Talk – Hosted by Adam Greenfield. Every Friday listen in as Adam Greenfield is joined by artists around the globe discussing making comics. 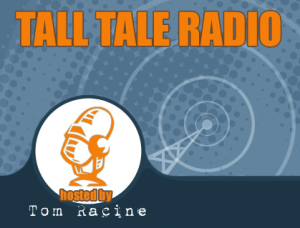 Tall Tale Radio – Hosted by Tom Racine. A podcast about comic strips, animation, movies, television, comics and cartoons, with interviews with the best artists in print, on the web, on screen, and everywhere. 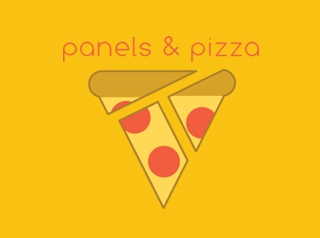 Panels & Pizza – Hosted by Adam Vermillion. Comics and pizza, together at last. Adam Vermillion shares a slice or 6 with some of the biggest and best names in comics. Pop Culture Hound – Hosted by Chris J. Thompson. Pop-culture website with a focus on comics, video games, film and TV. 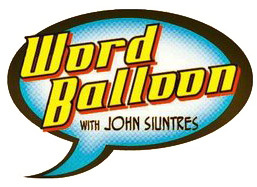 Word Balloon – Hosted by John Siuntres. The Pop Culture podcast featuring in-depth 1 on 1 interviews from the entertainment worlds of comic books, novels, film, video games and more. Inkstuds – Hosted by Rob McConnell. Interviews some of today’s top creators, with a focus on underground and indy comix from publishers like Fantagraphics, Top Shelf, Drawn and Quarterly and more. iFanboy – Comics fandom oriented. Owned and operated by Graphicly. If there’s a comics oriented podcast you’d like to recommend, please comment and/or email me as I’d like to update this list from time to time. This entry was posted in Business of Cartooning and tagged Podcasts. Bookmark the permalink.